I start dancing at the age of 4. I studied ballet, flamenco and contemporary, graduating in the dance school of the Institut del Teatre de Barcelona in 2003, specializing in contemporary. I studied diferent escenic tecniches as aereal dance, jugling, músic and diferent tecniques in contemporanie dance: release, lemon, graham and flying low. Dancer, musician, pedagogue and therapist graduate of Berklee College of Music. Dancing CI since 2004 and eaching in Tel Aviv as well as in the Haifa University and the Vertigo company dancer training. 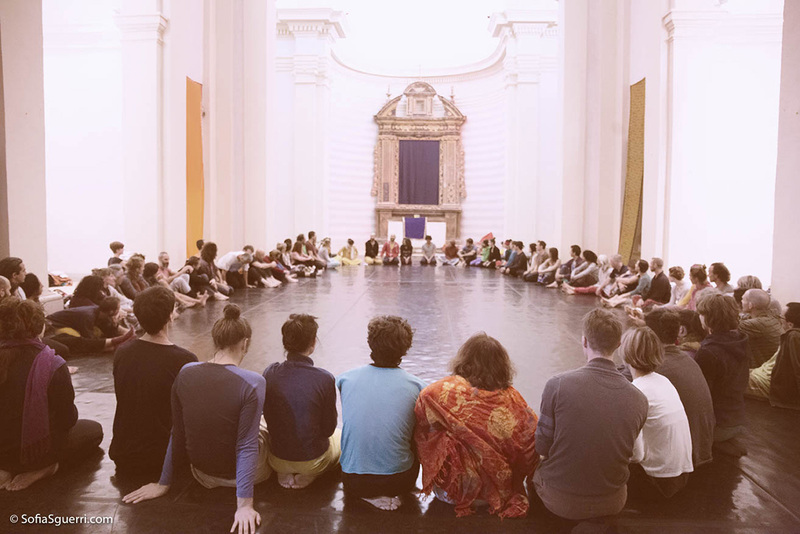 Teaching internationally in Europe, Asia and Israel, in festivals and private workshops. Performs locally and internationally, both as dancer and musician in dance and theatre projects. Practitioner of the Ilan lev method, treating dancers from leading companies- Bat sheva, Vertigo and others. Daniela (Argentina/France) is involved in the practice, performance and teaching of CI since 1998. Memeber of Cie dégadezo. As a visual artist, she is interested in the body, space and movement in the present moment as Materia for research, expression and création. Her multiple medias: video, objects, installation are present in her practices. Eckhard (Germany/France) co-founder of the Contact Festival Freiburg, is enthusiastically dancing and performing CI since 1988. In his teaching he is playfully searching for depth in the understanding of the form. As a member of Cie dégadezo, he has participated in diverse choreographique dance-theater pieces since 2002.